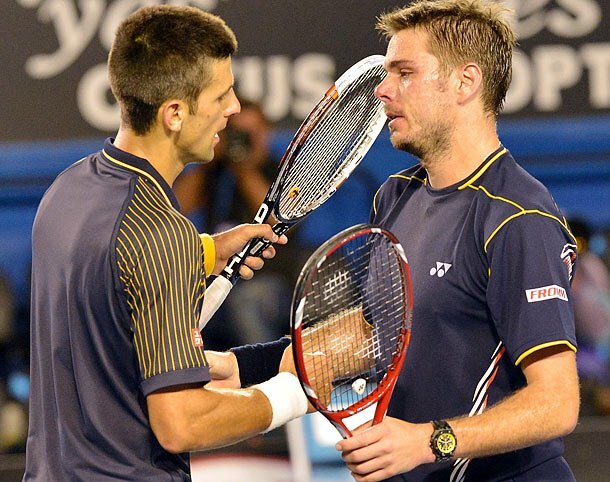 Novak Djokovic has today lost to Stanislas Wawrinka in the Quarter-Finals of the Australian Open, in a five-set epic encounter that lasted over four hours. Bidding for his fifth Aussie Open title, Djokovic lost for the first time since the U.S. Open final. He came into Tuesday match with a 28-match winning streak and 13 victories in a row against top-10 opponents. The champion went match point down in the 16th game of the match; Wawrinka raised his arms in celebration after reaching the semi-finals at a major for just the second time. The 2-6 6-4 6-2 3-6 9-7 loss brought an end to Djokovic’s winning streak at the Australian Open. The world number two was crowned champion in 2011, 2012 and 2013. Novak was seen as favourite with the tournament, but Wawrinka has ousted the defending champion who was looking to win the Australian Open for a fifth time. This result now opens up the rest of the tournament with Andy Murray still in contention, he has been a finalist in Melbourne before. Could this be the year Andy Murray finally clinches the title?